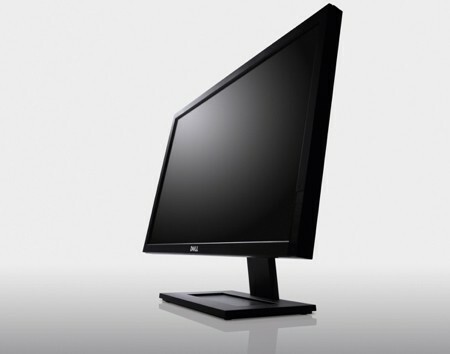 Dell, leading LCD monitor manufacturer all over the globe, is again ready with its new range of monitors. Dell’s new G-Series LED flat-screen computer monitors will be available in two iterations – the 22-inch G2210 and the 24-ich G2410, the monitors prove to be excellent green alternatives that don’t compromise functionality. G-Series high-performance EPEAT Gold and ENERGY STAR-compliant monitors are distinguished by a design approach that combines energy efficiency, LED technology, recycled materials and other environmentally preferable components. Dell G-Series monitors are energy efficient as they use half the energy of regular flat-screens. As part of the package, the monitor includes a light sensor (which senses the brightness of the room and adjusts the monitor accordingly), and dynamic dimming (which senses light / dark regions of the screen and adapts accordingly), functions meant to increase energy efficiency while retaining top-notch picture quality. These monitors are more slimmer and lighter than most flat-screens, and we sense that we have got an enviro-minded winner on our hands. Monitor's Design incorporate environmentally preferable materials. Key features of G-Series LED Monitors * contrast ratio: 1,000:1 (standard) 1,000,000:1 (dynamic). * “PowerNap” screensaver application dims the monitor to minimum brightness or “sleep” mode, based on user preference. * Free of PVC, BFR, CFR, arsenic and mercury. * External chassis made of more than 25 percent post-consumer recycled materials. * Epeat Gold compliant. * Up to 20 percent slimmer panel than comparable models. * Up to 28 percent lighter than comparable models. * Efficient packaging. The 22-inch G2210 will cost around Rs.14,000(US$280) and the 24-inch G2410 will cost around Rs.17,500(US$380). Can we all agree on one thing at least?? That this article is reallllly well developed! I write the word developed, not written. Simply because anybody can write stuff, but rather to develop an article takes research and knowledge about a product. This review is great and I for one take information from here and am Definitely going to apply it to my next purchase. You've supplied me with enough ammo to know exactly what I should be looking for in the market trend. Well, until then.. Ciao'!